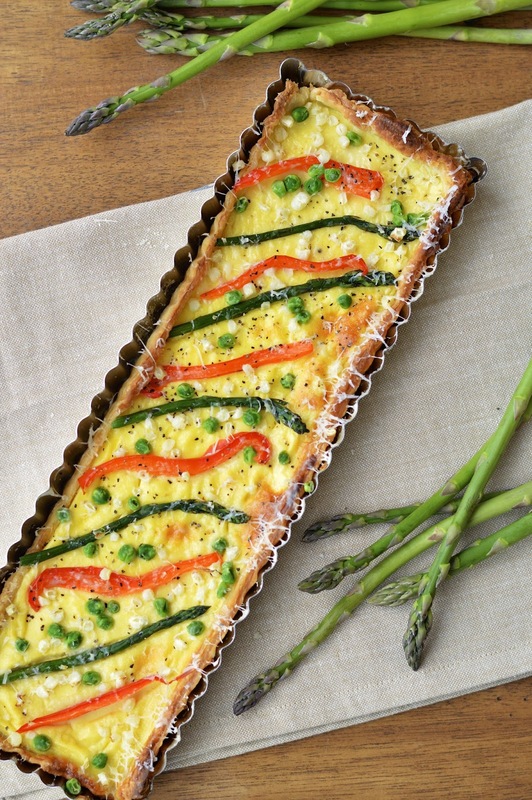 This spring vegetable tart or quiche is made with cage free eggs and add a wonderfully delicious and authentic component to this lightened up side dish. While I was researching different vegetable tarts and quiches, I ran across a very innovative recipe by the Law Student’s Wife. Instead of preparing a super rich filling with cream or cheese, she simply whipped together Greek yogurt, eggs and some mustard. Yeah, I know, really smart. The filling puffs up beautiful and golden while baking, and then settles into a light and creamy custard. I kind of counteract the healthy goodness with a puff pastry crust, but I think we all deserve a little bit of buttery goodness now and again. For my spring vegetables I used asparagus, peas, red peppers and fresh white corn (just slice it off the cobb), arranged in a pretty mosaic on top and then lightly dusted with grated Parmesan cheese for a little extra flavor. We had our vegetable tart with grilled French bread and an arugula salad. It was the perfect way to end a beautiful Spring day. *Recipe note - I have kind of quirky rectangular tart pans (as pictured), which are not that common. Therefore, I used the 9" or 10" tart/pie pan in the directions for your convenience. As well, get creative and use any veggies you like! On a lightly floured surface roll pastry into a 13" by 13" square. Grease a 9" or 10" tart pan or pie plate. Press pastry into prepared pan and cut off any excess from the top (great tip from Law Students Wife - roll a rolling pin along the top edge of the pan). Place your tart pan on a baking sheet. Take aluminum foil and line the inside of the tart pan, on top of the pastry. Place pie weights or dried beans on top to keep foil in place. Bake for 10 minutes and remove from oven. Increase oven heat to 425 degrees F.
Bring a medium saucepan of water to a boil. Place your vegetables in the water and let cook for 30 to 60 seconds. Drain vegetables and place in a bowl of ice water. Let cool. Drain and pat dry with a paper towel. 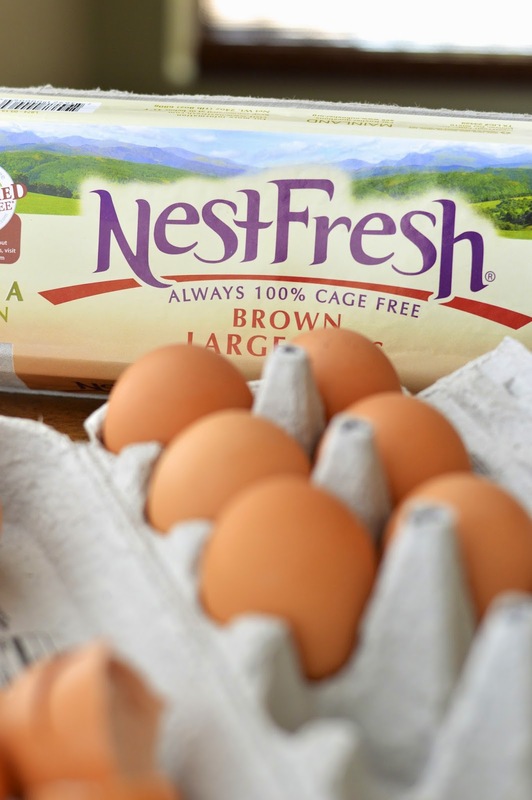 In a medium bowl, whisk together eggs, yogurt, mustard, salt and pepper. Pour egg mixture into the prepared baked pastry and place in oven for 4 to 5 minutes. 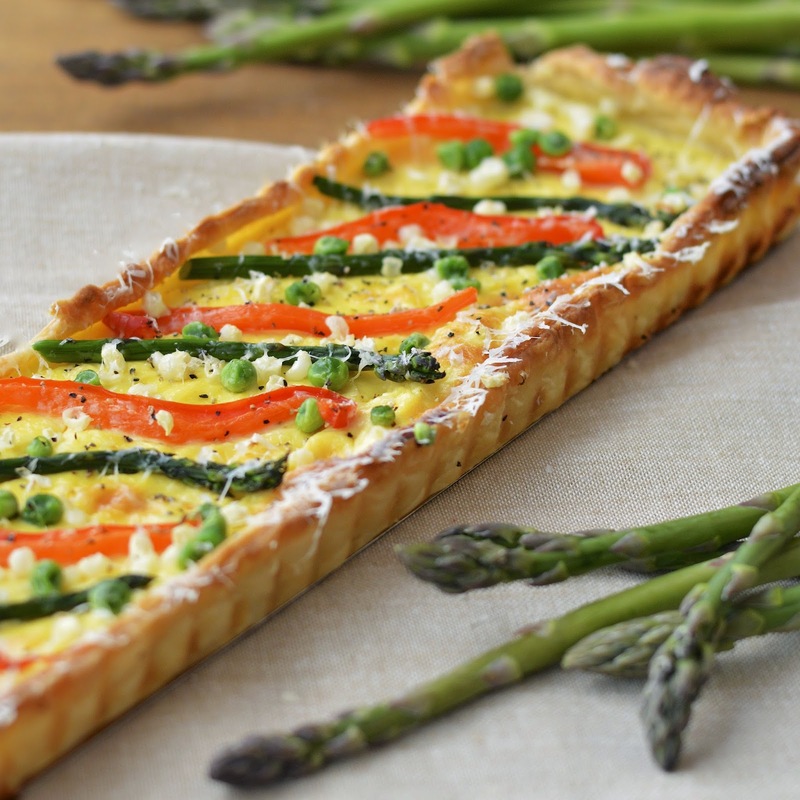 Pull tart out and arrange vegetables on top (this step keeps the veggies from sinking to the bottom). 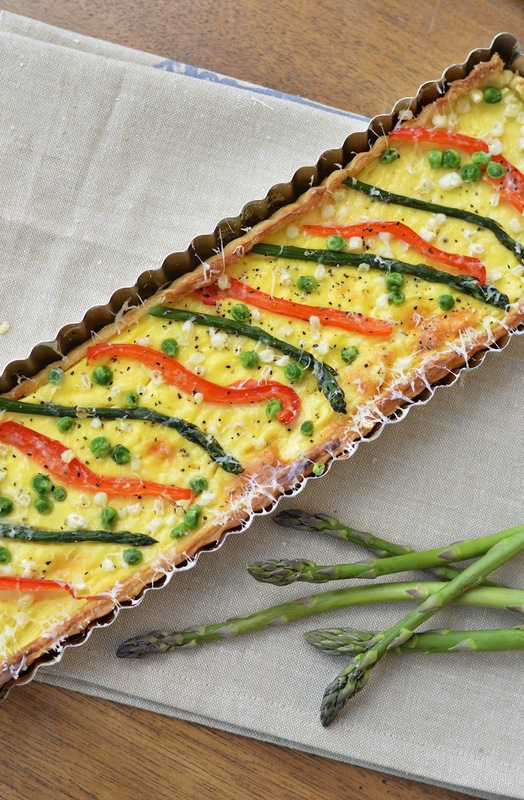 Quickly place tart back in the oven and bake for another 15 to 20 minutes. The center should be puffed and golden and a knife should come out clean when inserted. Place on a rack to set and grate Parmesan on top. Serve warm or room temperature.